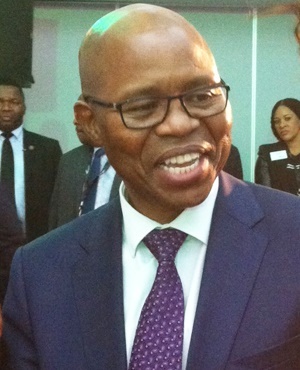 Treasury decided that “of all the devils, valued-added tax (VAT) is a better devil to deal with as far as tax is concerned”, Deputy Finance Minister Sfiso Buthelezi said this week. This decision followed a “scientific process”, he said in an interview with City Press. On April 1, VAT will increase from 14% to 15%. The last hike in VAT was in 1993 when it was raised from 10% to 14%. Buthelezi said that when the medium-term budget policy statement was presented in October “the fiscal position that we were having wasn’t sustainable”. “We were having debt and a debt-to-GDP ratio that was increasing. So we needed to take some action. This became very clear that – if you take the combination of expenditure cuts and revenue generation into account; if you look at company income tax, personal income tax and VAT – those three constitute 80% of the tax revenue. “We then looked at possibilities related to personal income tax. We saw there was very little room because for a number of years this has been increasing. “Second, we looked at company income tax. We looked at what other countries are doing. Our company income tax is on the higher side ... It became clear that company income tax is not a possibility. “When you talk about VAT – people will tell you that VAT is regressive. VAT affects the poorest of the poor rather than the rich ... We realised the last time we increased VAT was in 1993 – before the dawn of democracy in this country. We also looked at our trading partners. As far as VAT is concerned we are on the low side. “Cabinet will ask all types of questions and raise all the questions the public is raising. What we discovered is that 30% of households contributed 85% of the VAT revenue – this is a function of an unequal society. “VAT isn’t as regressive as usually thought. We are not naive about the regressionary effects of VAT. We need to present a package – that included zero-rated goods. We also wanted to protect our social spending,” Buthelezi said. It is too early to tell the direction of tax changes beyond March 2019 when the next tax year ends but the key determinant of the future direction of tax changes would be growth, Buthelezi said. “The main thing is that we have an economy that is not growing,” Buthelezi said. “The first thing for us to do is to get the economy growing. The expenditure measures and the revenue measures – we depend on how we do during the year in terms of economic growth. Regarding the long-term outlook for the country’s credit rating, Buthelezi said: “Let’s do the right thing about our economy. “Principal among these things is the question of economic growth and dealing with high levels of inequality. Try to create employment opportunities and to increase revenue collection. Get our state-owned enterprises to perform.” he said. 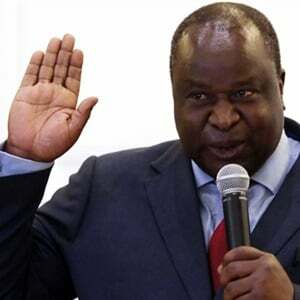 “At the medium-term budget policy statement we said to South Africans that we need to change course. Our debt-to-GDP ratio is stabilising and that is one of things the ratings agencies are raising. They [ratings agencies and state bondholders] are saying – we are worried about what is happening to your debt. It looks like it is getting out of hand. Hence the difficult decisions we have taken – that debt-to-GDP ratio is no longer going to 60%. “The bond yields are improving. The exchange rate is improving, which will improve inflation. We don’t expect the [SA Reserve Bank] governor to increase interest rates, which is good for investment. We need to improve business confidence [by getting] the private sector to invest.